Here is a shot from the side so you can see the angles I have the stand set up at. I’m only using 3 di:stages and 2 of the included arms, as well as the speech bubble holders that attach to the arms instead of the claw. These are used to stabilize the iPhone in the angled position. Of course, the angle can be re-adjusted and the location of the arms lowered if need be. You may be wondering if the arms are secure enough to hold an iPhone for an extended period of time. 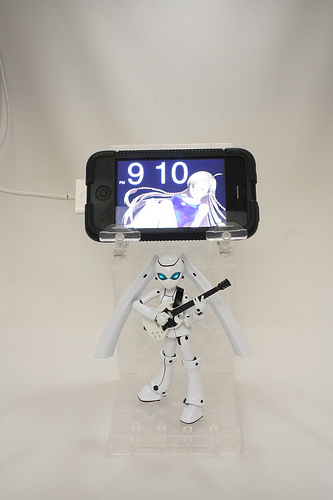 I’ve found that the arms that come with the di:stage are very stiff and hold up well to an iPhone’s weight. A little elbow grease will be needed to get the arms in the correct position, but once you have it set, it shouldn’t become too loose, unless you have a really heavy iPhone case or something. The location I have the arms at are the second row of holes in, the ones that require the smaller hole adapter in order to use the arms. These seem to be an ideal location for the arms in landscape mode. For portrait, you’ll want to move those arms in a bit. 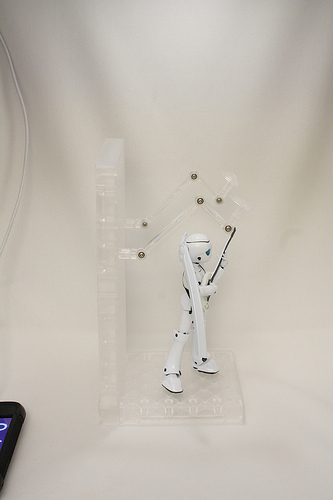 If you use 3 stands, you can fit a figma underneath, as Drossel-ojou shows you here. Shown here is my current configuration for my stand. I installed the arms on the lower of the 2 vertical stages and installed Hayate on the upper stage with the 3rd arm I had. 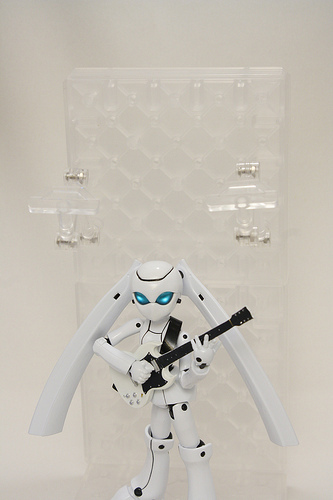 Alter Reinforce Zwei hovers nearby with Hayate’s 3 joint stand and a claw from the di:stage. Given more di:stages and a little creativity, you could probably recreate a concert stage complete with an overhead screen! 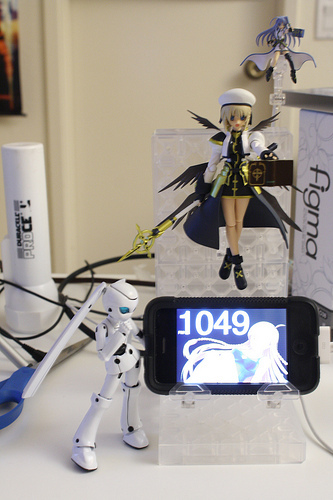 Ah, another example of how figmas can be made to do anything. How’s the rocket to the moon made of figma parts you’ve in your basement coming along ;)? This is still the Epic stand. I mean, its cheap and you can have your figures next to it! Very clever. I wasn’t really interested in getting any di:stages for my figures, but I might have to get a few to make one of these! I especially like the last configuration with space for a figure above the phone.